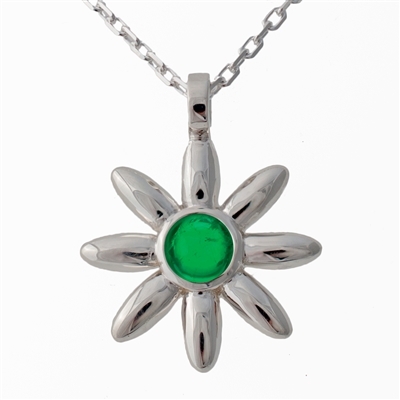 Emerald green is always a beautiful choice. 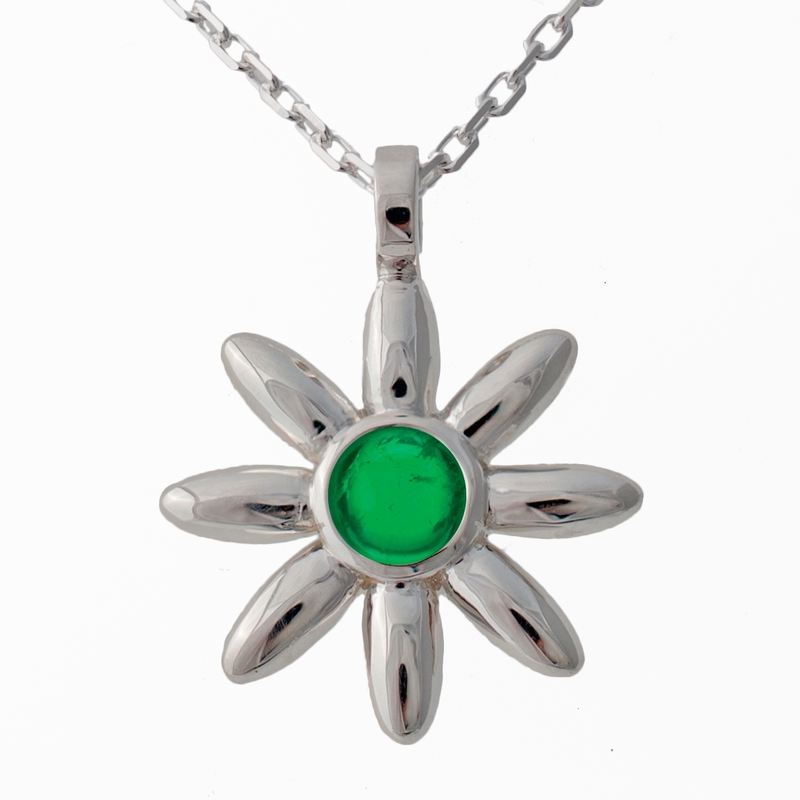 This round cabochon offers a more casual style to our Flower Pendant. 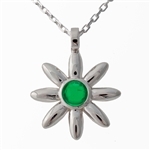 The birthstone for May, It also includes a 1mm cable chain in multiple lengths to truly make this the perfect gift.